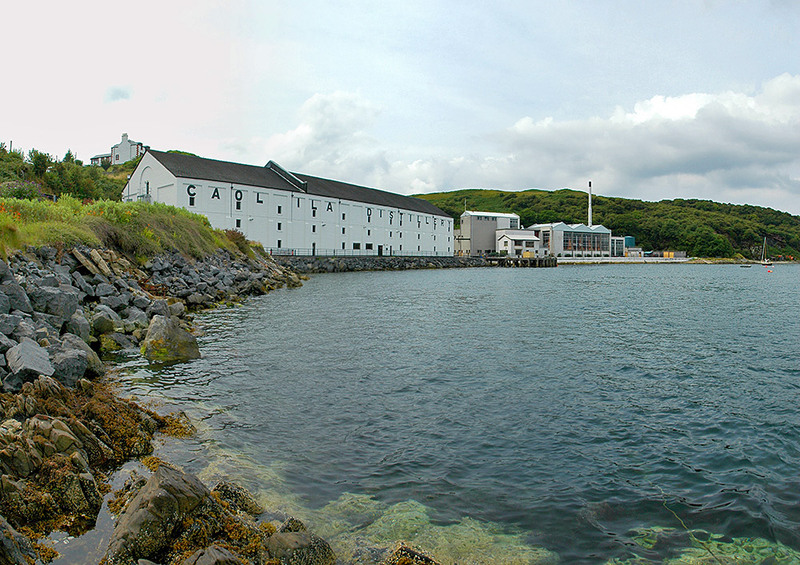 A panoramic view of Caol Ila distillery from the rocky shore of the Sound of Islay. 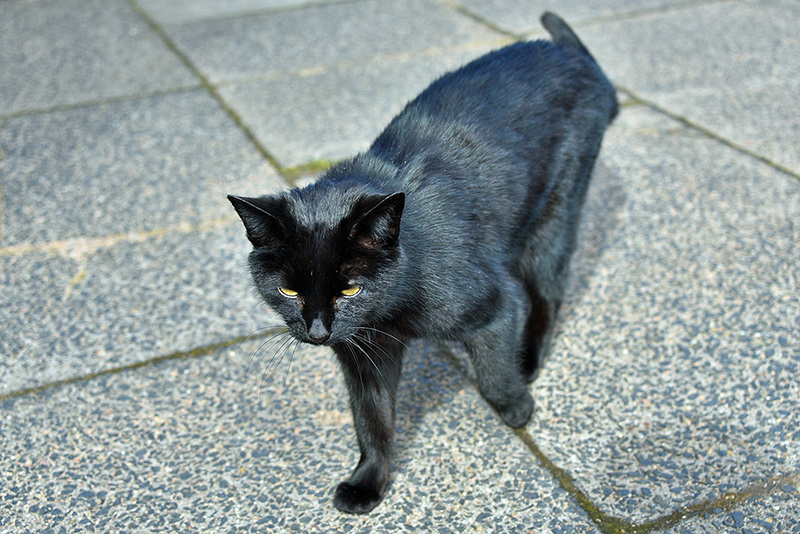 Does protecting the distillery from whisky loving mice make you famous? If yes, then Caol Ila’s Sushi is famous. I had hoped to get the distillery into view, but couldn’t really find an angle to show Caol Ila distillery in any way. 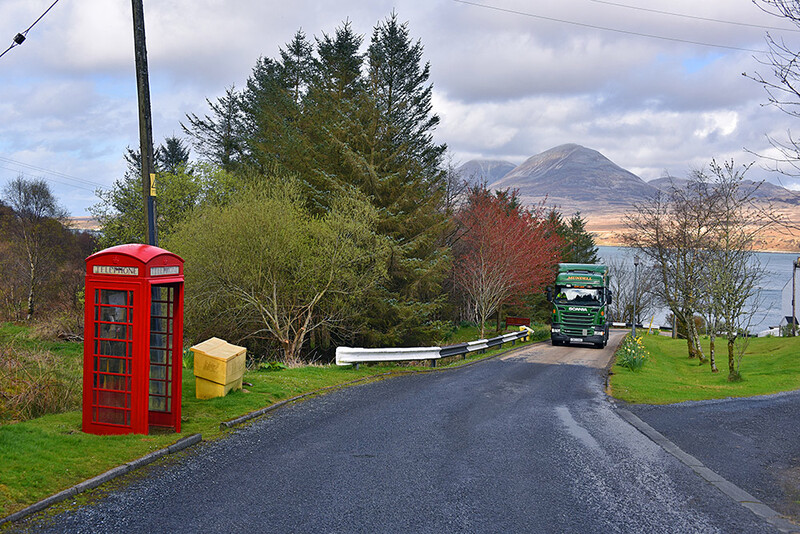 So instead you can catch a glimpse of the Paps of Jura on the other side of the Sound of Islay in the distance. Also one of Mundell’s lorries coming up the hill. I’m not sure where the door of the red phone box was at the time, what I do know is that it was getting a fresh coat of paint when I took the picture in April 2017.